The history, politics, ethics, and emotions of the conversion of Hetch Hetchy Valley into Hetch Hetchy Reservoir are well covered elsewhere in this issue. This article will set those matters aside and focus instead on the fundamentals of what dams are, and why and how they are sometimes removed. Simply put, a dam is a structure that holds back water, thereby increasing water levels. From there it gets more complicated. Dams vary in size, from small earthen berms made by hand to monstrous structures such as the 770-foot-tall Oroville Dam (Feather River, northern California), the tallest dam in the United States. Some are made of earth, others concrete, others are rock-filled dams covered with either earth or concrete. There are gravity dams (such as Grand Coulee Dam on the Columbia River), arch dams (Glen Canyon Dam on the Colorado River), and buttress dams (Bartlett Dam on the Verde River). Dams may be considered to be storage dams, having a large amount of water behind the dam with a long residence time, or run-of-river dams, with a smaller amount of water behind the dam and a short residence time. The primary functions of a dam may include flood control, recreation, hydroelectric power generation, irrigation, and public water supply. In California the two largest uses of our reservoir water are public water-supply followed closely by irrigation (1). O’Shaughnessy Dam on the Tuolumne River is a massive concrete arch gravity dam that rises 312 feet above the riverbed, capable of impounding 444 million cubic meters of water. How many dams are there today? Where are the major dams in California? Though most of California’s rain and snow falls in the northern part of the state, most of the people live in the southern portion. The cities, fields, and factories of the state require water, and over the past century a complex system of dams, reservoirs, canals, and pipelines has been constructed to solve the problem of transporting water, primarily from north to south. There are two large water projects in California’s Great Central Valley, the federal Central Valley Project (CVP) operated by the US Bureau of Reclamation and the State Water Project (SWP) operated by the Department of Water Resources. Construction of the CVP began in 1937. Today it consists of 20 dams, including Shasta Dam (Sacramento River), Trinity Dam (Trinity River), Folsom Dam (American River), Friant Dam (San Joaquin River) and New Melones Dam (Stanislaus River). Construction of the SWP began in 1957 in Oroville. Today the SWP consists of “34 storage facilities, reservoirs and lakes; 20 pumping plants; 4 pumping-generating plants; 5 hydroelectric power plants; and about 701 miles of open canals and pipelines.” (2) The SWP includes Oroville Dam (Feather River), Castaic Dam (Castaic Creek and off-stream storage for the West Branch of the California Aqueduct), B.F. Sisk Dam (San Luis Creek and off-stream storage for the California Aqueduct), Pyramid Dam (Piru Creek and off-stream storage for the West Branch), and Perris Dam (off-stream storage for the East Branch of the California Aqueduct). There are also many local and regional water and power agencies that own and operate dams, such as the Nevada Irrigation District, Pacific Gas & Electric, Los Angeles Department of Water and Power, and the San Francisco Public Utilities Commission, among others. Though in reality the demolition of a dam is a long and complex process, we can describe it simply as three steps: (1) decide if the dam should be removed; (2) if yes, determine how it should be removed; and (3) consider what happens after the dam is gone. The sediment load—the amount of sediment carried by a river—can be estimated, and a dam and reservoir constructed accordingly, to maximize the length of time the reservoir will remain functional. The average lifespan of a dam is often estimated to be 50 years. (6) Another water policy expert (7) estimates that, on average, between 0.5% and 1% of a reservoir is filled by sediment each year, meaning that most dams would have a lifespan of 100-200 years. However, the sediment load of a river can vary in unexpected ways, causing reservoirs to fill before their predicted “expiration date.” Extensive timber harvests, wildfires, or development can increase the amount of sediment entering a river. Once sediment begins to fill a reservoir, can it be removed? Certainly dredging out the sediment is always a possibility, but it is not always cost-effective or environmentally safe. The mechanical challenges include removing sediment from the bottom of a deep reservoir—either with cranes based on floating barges, on the dam, or on shore – and then transporting that heavy, wet sediment in trucks down often narrow, winding roads to a disposal site. Finding a willing disposal site can also be difficult—and expensive—if testing shows the sediments are contaminated with heavy metals. The process of dredging—which can take months—also stirs up the sediments, making the water quality poor both in the reservoir and downstream. This can negatively impact recreation, as well as fish and wildlife populations. There are methods of minimizing the environmental impact of dredging sediments out of a reservoir, but the costs can quickly run to the hundreds of millions of dollars. Many large dams in the United States are used to generate hydroelectric power. “All hydropower dams not owned by the federal government must obtain an operating license from FERC [Federal Energy Regulatory Commission], unless the dam has been issued an exemption or is on a non-navigable river….When those 30 to 50 year licenses expire, the dam owner must reapply to FERC to obtain a new license…As part of this licensing process, FERC must determine whether issuing a new license is in the public interest, providing equal consideration to power development and non-power uses of the river (e.g. fish and wildlife habitat, recreation, aesthetic)….” (8) This relicensing process requires documentation of the environmental impacts of dam operation and compliance with all pertinent regulations, such as the federal Clean Water Act, Clean Air Act, Endangered Species Act, etc. While it would seem obvious that O’Shaughnessy should be re-examined today, relative to its age and clear environmental impacts, the dam was authorized before the Federal Power Act. It is, therefore, exempt from FERC relicensing—removing this option from the restorationists’ toolbox. Have any large dams been removed? While it is tempting to think that dam removal, once the discussions, arguments, and analyses have been concluded, ought to be a quick process dependent only on a few well-placed explosives, nothing could be further from the truth. While some dams are unintentionally removed when natural disasters strike, such as earthquakes, heavy rainfall, or mudslides, these catastrophes take a heavy toll on life and property. For example, in 2006 the earthen Ka Loko Dam in Hawaii burst after heavy rains, killing 7 people. (11) The worst such dam failure occurred in China in 1975. An unlikely combination of weather events led to a 1-in-2000 year flood. Banqiao Dam on the Ru River collapsed, followed within minutes by the failure of 62 more dams downstream. An estimated 171,000 people died during the flood and the subsequent period of famine and disease epidemics. (12) Often the effects of these natural disasters are compounded by poor construction or poor maintenance of the dams. In summary, there are numerous reasons for which dams are designated for removal. When such designations are made, designs for dismantling must address costs and myriad environmental concerns. Both of these are probably far greater than when the dam was first constructed. Poff NL, Hart DD. 2002. How dams vary and why it matters for the emerging science of dam removal. BioScience 52(8): 659-668. (http://www.fws.gov/habitatconservation/Dams.pdf). DWR (Department of Water Resources). 2015. California State Water Project Overview. Accessed 1/18/15. (http://www.water.ca.gov/swp/). Babbitt B. 2002. What goes up, may come down. BioScience 52(8): 656-658. SCDR (San Clemente Dam Removal & Carmel River Re-route Project). 2015. Accessed 1/18/15 http://www.sanclementedamremoval.org/). MDERP (Matilija Dam Ecosystem Restoration Project). 2014. Facts and History. Accessed 6/2/14. (http://www.matilijadam.org/facts.htm). MIT (Massachusetts Institute of Technology). 2012. Dams. Mission 2012 Clean Water. Accessed 28 April 2014 at http://web.mit.edu/12.000/www/m2012/finalwebsite/problem/dams.shtml. Workman JG. 2007. How to fix our dam problems. Issues in Science and Technology. Fall 2007. (http://issues.org/24-1/workman/). Bowman MR. 2002. Legal perspectives on dam removal. BioScience 52(8): 739-747. American Rivers. 2009. 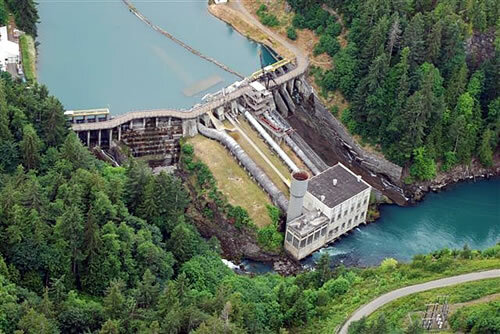 FAQs about the Klamath Hydropower Settlement Agreement. (http://www.americanrivers.org/assets/pdfs/dam-removal-docs/klamath-hsa-faq.pdf?506914). Zimmerman M. 2014. Families still waiting for justice 8 years after Ka Loko Dam breach killed their loved ones. Hawaii Reporter. Access 1/18/15 (http://www.hawaiireporter.com/familes-still-waiting-for-justice-8-years-after-ka-loko-dam-breach-killed-their-loved-ones). Fish E. 2013. The forgotten legacy of the Banqiao Dam collapse. The Economic Observer. Accessed 1/18/15 (http://www.eeo.com.cn/ens/2013/0208/240078.shtml). Landers J. 2010. National Park Service awards construction contract to restore fish passage on Elwha River. Civil Engineering News 80(12): 14, 16.